[The] Discovery [Institute] presents common descent as controversial exclusively within the animal kingdom, as it focuses on embryology, anatomy, and the fossil record to raise questions about them. In the real world of science, common descent of animals is completely noncontroversial; any controversy resides in the microbial world. There, researchers argued over a variety of topics, starting with the very beginning, namely the relationship among the three main branches of life. Overview of speciation and hybridization within the genus Homo over the last two million years. A phylogenetic tree showing the three-domain system. Eukaryotes are colored red, archaea green, and bacteria blue. ↑ টেমপ্লেট:Cite court Whether ID Is Science, p. 83. ↑ [[#CITEREF|]]: "Virtually no secular scientists accepted the doctrines of creation science; but that did not deter creation scientists from advancing scientific arguments for their position." ↑ টেমপ্লেট:Cite court Context, p. 20. ↑ টেমপ্লেট:Cite court Introduction, pp. 7–9, also Whether ID Is Science, pp. 64–89, and Promoting Religion, p. 90. Johnson, Phillip E. (জুন ২০০২)। "Berkeley's Radical"। Touchstone: A Journal of Mere Christianity (সাক্ষাৎকার)। 15 (5)। সাক্ষাত্কার গ্রহণ করেন James M. Kushiner। Chicago, IL: Fellowship of St. James। আইএসএসএন 0897-327X। সংগ্রহের তারিখ ২০১২-০৬-১৬। উদ্ধৃতি টেমপ্লেট ইংরেজি প্যারামিটার ব্যবহার করেছে (link) Johnson interviewed in November 2000. ↑ Scott, Eugenie Carol (with foreword by Niles Eldredge) (২০০৪)। "Evolution vs. Creationism: an Introduction"। Berkeley & Los Angeles, California: University of California Press: xii। আইএসবিএন 0-520-24650-0। সংগ্রহের তারিখ ৩ জুন ২০১৪। Creationism is about maintaining particular, narrow forms of religious belief – beliefs that seem to their adherents to be threatened by the very idea of evolution. ↑ Gould, Stephen Jay (মে ১৯৯৪)। "Hooking Leviathan by Its Past"। Natural History। Research Triangle Park, NC: Natural History Magazine, Inc.। 103 (4): 8–15। আইএসএসএন 0028-0712। সংগ্রহের তারিখ ২০১৪-০৮-২৭। Gould quotes from Hayward 1985. ↑ ক খ "Statement on the Teaching of Evolution" (PDF)। Washington, D.C.: American Association for the Advancement of Science। ফেব্রুয়ারি ১৬, ২০০৬। ২০০৬-০২-২১ তারিখে মূল (PDF) থেকে আর্কাইভ করা। সংগ্রহের তারিখ ২০১৪-০৭-৩১। Some bills seek to discredit evolution by emphasizing so-called 'flaws' in the theory of evolution or 'disagreements' within the scientific community. Others insist that teachers have absolute freedom within their classrooms and cannot be disciplined for teaching non-scientific 'alternatives' to evolution. A number of bills require that students be taught to 'critically analyze' evolution or to understand 'the controversy.' 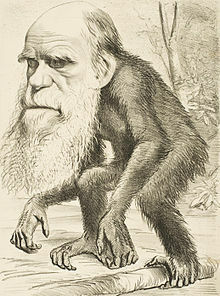 But there is no significant controversy within the scientific community about the validity of the theory of evolution. The current controversy surrounding the teaching of evolution is not a scientific one. ↑ টেমপ্লেট:Cite court Whether ID Is Science, p. 89, support the view that "ID's backers have sought to avoid the scientific scrutiny which we have now determined that it cannot withstand by advocating that the controversy, but not ID itself, should be taught in science class. This tactic is at best disingenuous, and at worst a canard. The goal of the IDM is not to encourage critical thought, but to foment a revolution which would supplant evolutionary theory with ID." ↑ ক খ Annas, George J. (মে ২৫, ২০০৬)। "Intelligent Judging — Evolution in the Classroom and the Courtroom"। The New England Journal of Medicine। Waltham, MA: Massachusetts Medical Society। 354 (21): 2277–2281। doi:10.1056/NEJMlim055660। PMID 16723620। আইএসএসএন 0028-4793। সংগ্রহের তারিখ ২০১২-০৭-০১। That this controversy is one largely manufactured by the proponents of creationism and intelligent design may not matter, and as long as the controversy is taught in classes on current affairs, politics, or religion, and not in science classes, neither scientists nor citizens should be concerned. টেমপ্লেট:Cite court Whether ID Is Science, p. 83. The Discovery Institute's A Scientific Dissent From Darwinism petition begun in 2001 has been signed by "over 700 scientists" as of August 20, 2006. 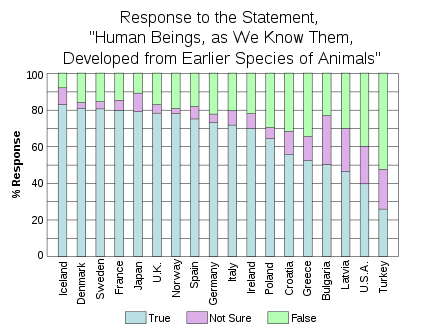 The four-day A Scientific Support for Darwinism petition gained 7,733 signatories from scientists opposing ID. AAAS 2002. The American Association for the Advancement of Science (AAAS), the largest association of scientists in the U.S., has 120,000 members, and firmly rejects ID. National Center for Science Education: List of statements from scientific professional organizations on the status intelligent design and other forms of creationism in the sciences. ↑ "In the beginning"। The Economist। London: The Economist Newspaper Limited। এপ্রিল ১৯, ২০০৭। সংগ্রহের তারিখ ২০০৭-০৪-২৫। This article gives a worldwide overview of recent developments on the subject of the controversy.